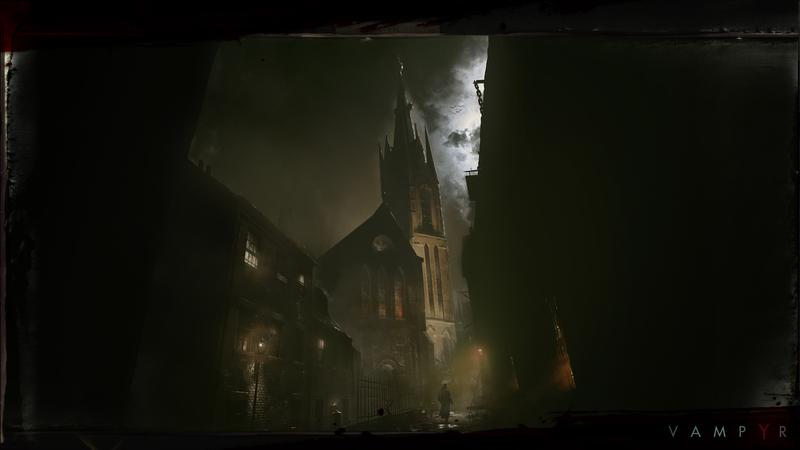 Vampyr, the narrative-driven action-RPG from DONTNOD Entertainment, releases tomorrow on PlayStation 4, Xbox One, and PC in North and South America. 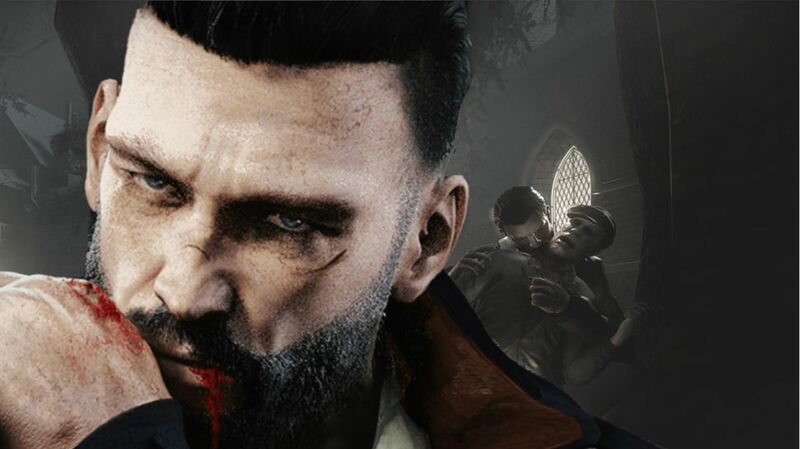 Following up with their stream from last week, the developers at DONTNOD will be broadcasting Vampyr on Twitch just prior to launch. 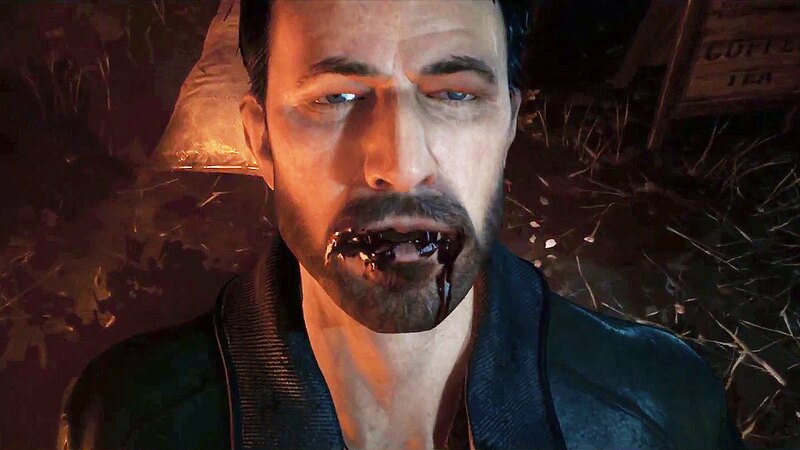 Balancing the overall health of citizens with who you choose to kill is vital for players who want to keep districts from being lost. Each of the four main districts have their own health status gauge, which is affected by the number of dead, sick and healthy citizens in that area. As the gauge drops lower, shop prices will increase, citizens are more likely to get sick, and life in the area generally deteriorates. If the status drops below critical condition, then the entire district will be lost forever! 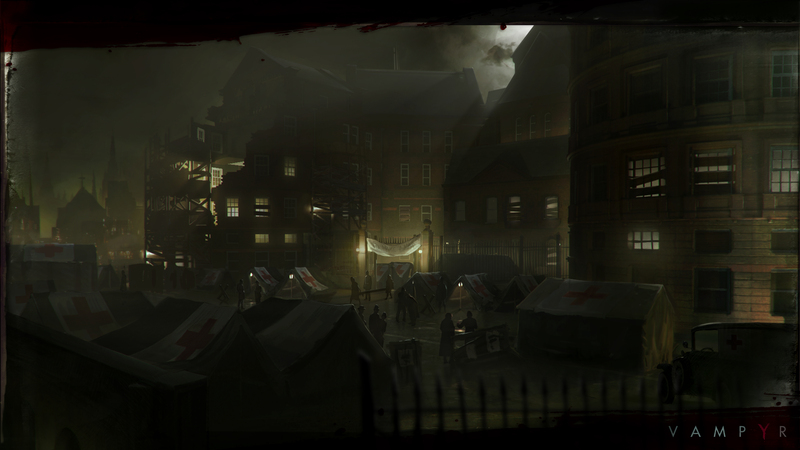 This means all shops, citizen side quests, and regular inhabitants in that district are permanently gone, taken over by deadly enemies. 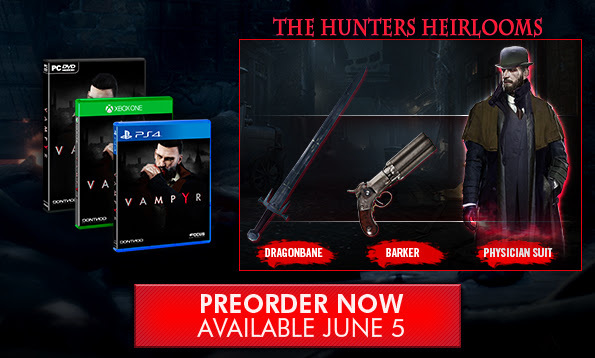 If this happens, it doesn’t mean game over! 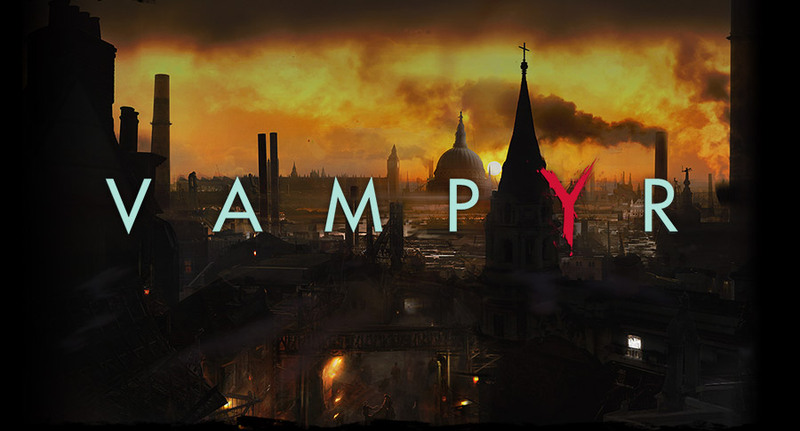 A player who loses all four districts can still complete Vampyr’s main story – though their recklessness will reward them with the ending they deserve. 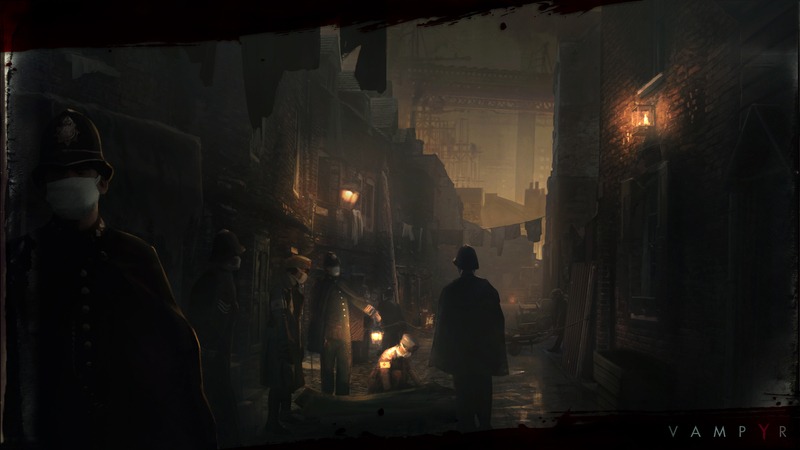 Vampyr launches June 5th in North and South America on PlayStation 4, Xbox One, and PC. 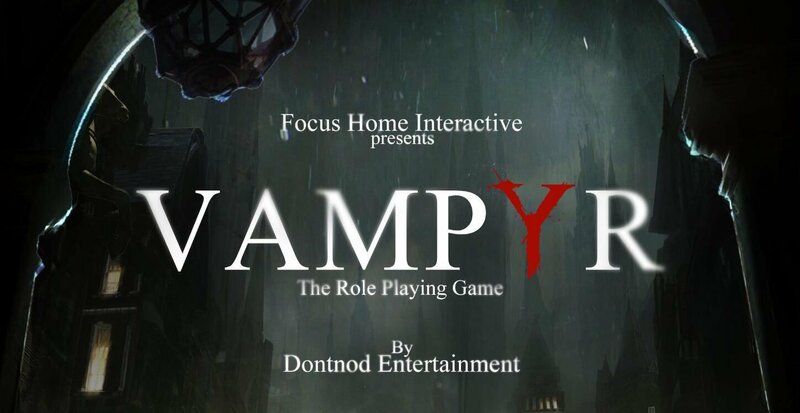 Preorders are now available at http://vampyr-game.com/.